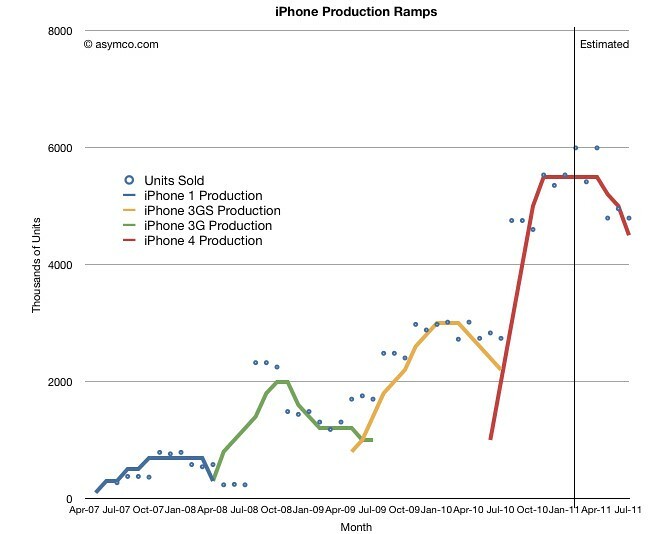 If past iPhone sales are anything to go by, Apple is set to move a whooping hundred million iPhone 5 units. In other words, a fifth-generation iPhone will match sales of all previous models combined, helping Apple maintain a healthy 20+ percent market share in smartphones. 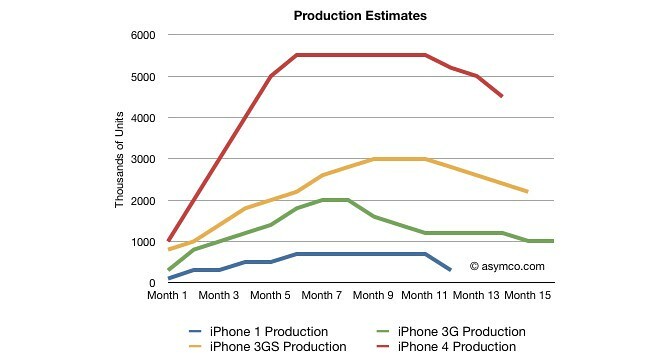 The assumption is based on the above chart from Asymco that outlines monthly sales for all four iPhone models, approximated based on actual quarterly sales divided over the months according to the number of days available. So far, each iPhone generation doubles on the previous. You don’t begin by asking how many will sell. You begin by asking how many can they make. They also mention a prediction calling for half a billion new smartphone users buying smartphones in the next two years. Another interesting tidbit: Assuming the iPhone 4 sells for at least one or more quarter, it should move between 60 to 65 million units in total. iPhone 5: launches in Q1?